From left to right: Bobby Berk, Karamo Brown, Antoni Porowski, Jonathan Van Ness, and Tan France. After announcing a revival of Bravo’s beloved makeover series Queer Eye (originally with the suffix for the Straight Guy), Netflix revealed today the the series’ new Fab Five. 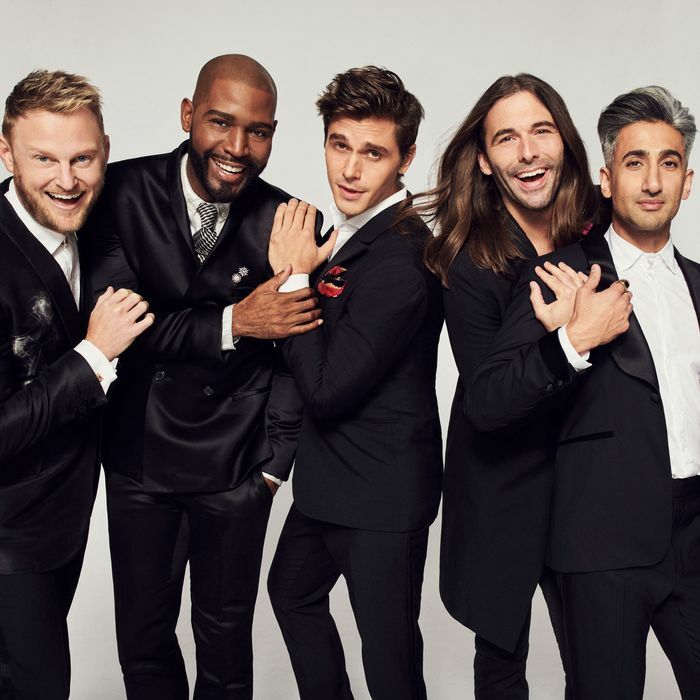 The new cast members are Bobby Berk, focusing on design; Karamo Brown, whose focus is on culture; Antoni Porowski, specializing in food and wine; Jonathan Van Ness, focusing on the all-important grooming; and Tan France, who will make sure subjects are dressed to the nines with his specialization in fashion. Netflix announced that the eight-episode series will debut in February, will be set in and around Atlanta, Georgia — rather than the original show’s setting of New York. “Our new Fab Five will forge relationships with men and women from a wide array of backgrounds and beliefs often contrary to their own, touching on everything from LGBTQ rights and social commentary to how to make the best farm-to-table guacamole and more!” America will be made fabulous again, one artisanal guacamole at a time.